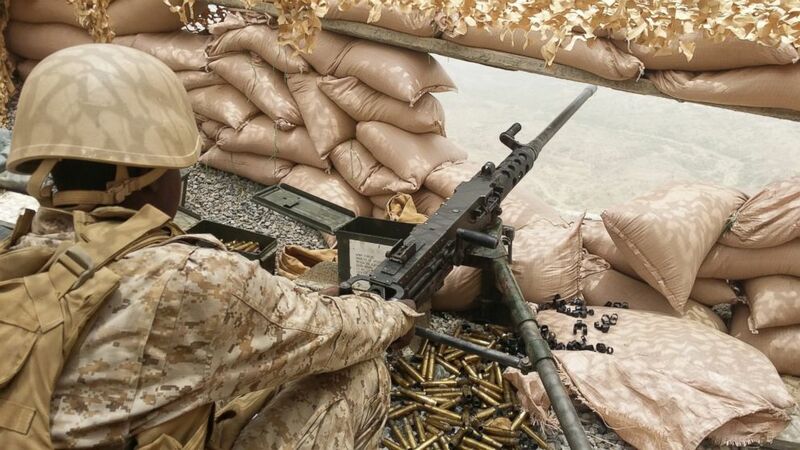 camera (Cihan/Barcroft Media, via Getty Images) A Saudi soldier on patrol at the Saudi-Yemeni border on April 13, 2015, in Saudi Arabia. Members of Congress are pushing to block the sale of $1.15 billion worth of military equipment to Saudi Arabia as reports of civilian casualties continue to emerge from Yemen following strikes by the Saudi Arabia-led coalition. Last week, the U.S. Department of State gave its preliminary approval for the sale of over 100 tanks, over 300 machine guns, scores of ammunition, and other land force weapons to Saudi Arabia. The announcement of the arms sale came the same day as news of a Saudi Arabia-led coalition airstrike that killed 14 civilians working at a food factory in Yemen, according to The Associated Press, and less than a week after United Nations peace talks in the region collapsed without making any considerable headway. Sen. Rand Paul, R-Kentucky, told ABC News today that he will try to force a vote to block this arms sale, which was approved by State Department and passed to Congress, which has 30 days to review it before it can proceed. Rep. Ted W. Lieu, D-California, also spoke critically of the arms sale, stating, "This approved sale deserves to be scrutinized by Congress rather than rubber-stamped during the summer recess." Lieu added that he planned to review the arms sale to ensure it "meets the core objective of contributing to U.S. national security." "I believe the Saudi military’s operational conduct in Yemen and the killing of civilians with U.S.-made weapons have harmed our national security interests, and I will continue to oppose any arms sale that contributes to its operations in that arena," Lieu added. Senator Chris Murphy, D-Connecticut, told ABC News in a statement that he had "concerns over the high rate of civilian casualties in Saudi Arabia's Yemen operations." Murphy added that the Saudis "have largely backed away from the military fight against ISIS and I’d like to see them commit to rejoin that fight as part of major new military sales." A State Department spokesman downplayed concerns that the weapons transferred to Saudi Arabia could be used to harm civilians in Yemen. "This proposed sale is aimed toward strengthening Saudi Arabia’s future defense capabilities. If finalized, this proposed sale will require major refurbishment of some existing tanks, and manufacturing of the rest over the course of several years," said David McKeeby, a spokesperson for the U.S. Department of State’s Bureau of Political-Military Affairs, which oversees the foreign military sales process, told ABC News last week. "Moreover, our understanding is that these types of weapons systems are not currently being used for offensive operations in Yemen," McKeeby added. "As a matter of policy, review and monitoring are an integral component of the process for any U.S.-origin defense articles delivered to any recipient nation. This is to make sure that those articles are used in the manner intended and are consistent with our legal obligations, foreign policy goals, and values." Additionally, the approved sale of weapons is of land force equipment, while most of the civilian casualties have been a result of airstrikes. Over the weekend, an airstrike purportedly carried out by the Saudi-led coalition struck a school in Northern Yemen, killing 10 children and injuring dozens more, according to The AP. Today, Doctors Without Borders, or as it is known by its French name, Médecins Sans Frontières (MSF), reported on its Twitter that one of its hospitals in Yemen had been hit in airstrike this afternoon. Among the 11 killed was a Doctors Without Borders staff member. Others currently remain hospitalized. This is the fourth attack on a Doctors Without Borders facility in the past year, according to the organization. 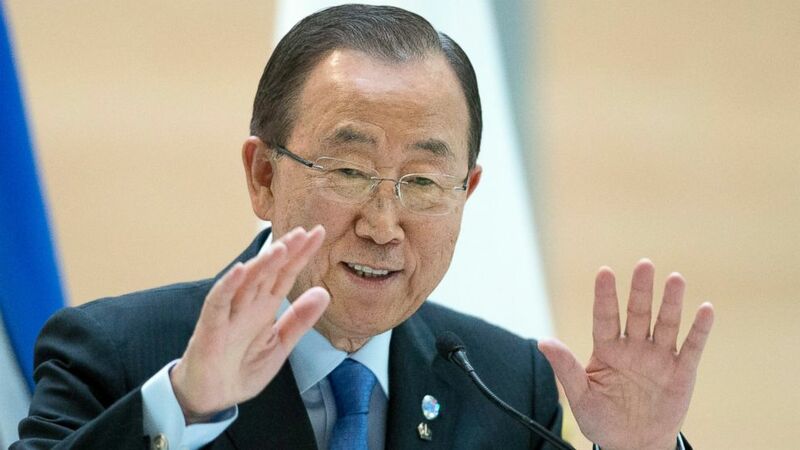 United Nations Secretary-General Ban Ki-Moon quickly condemned the attack on the school, adding that civilians continue to "bear the brunt" of the conflict. "The attack killed at least 10 children and injured many more," a spokesperson for the secretary-general said in a statement. "The Secretary-General notes with dismay that civilians, including children, continue to bear the brunt of increased fighting and military operations in Yemen. He calls for a swift investigation of this tragic event and urges the parties to take all necessary measures to prevent further violations of international humanitarian law and human rights." (Larry MacDougal/The Canadian Press via AP Photo) United Nations Secretary-General Ban Ki-moon speaks to University of Calgary students on International Youth Day in Calgary, Alberta, Aug. 12, 2016. Earlier this summer, the secretary-general included Saudi Arabia on a blacklist of groups that target children in his annual "Children and Armed Conflict" report. After pressure from Saudi Arabia, however, the U.N. chief removed Saudi Arabia from the list, to the outrage of advocacy groups including Amnesty International. The U.N. International Children's Emergency Fund (UNICEF) also condemned this weekend's airstrike, saying that the children killed were between 6 and 14 years old. “With the intensification in violence across the country in the past week, the number of children killed and injured by airstrikes, street fighting and landmines has grown sharply," UNICEF said, calling on "all parties" in the conflict to "respect and abide by their obligations under international law." "This includes the obligation to only target combatants and limit harm to civilians and civilian infrastructure," the U.N. children's group added.